What is the best business to earn money in this world? Well, if you start a research, you may find good list of business ideas to start a business. But it is really hard to say which one of these ideas makes the best business to start unless you make a decent investment in setting up it and see how it works. So, what can be the best business idea to start with little money or low investment? I believe i have an answer to your query. It can be trading in stock markets. Keep on reading this post till the end if you want to know how I mean it. 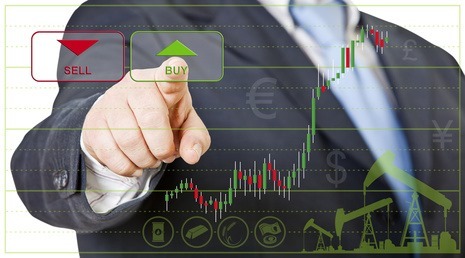 Trading in Stock markets offers a very unique business opportunity. The beauty of this business is that it does not require any major investments in the form of cash and time unlike other business establishments. In today’s world of advanced technology it has become even more easy to carry out this business as almost all the broking houses provide the facility of on-line trading. What is required from your side is only little homework in the form of technical reading of the stock charts and you are on the go ! Almost all business ideas would require space or land to set up the infrastructure for any business. For trading in stock markets,you don’t need to buy land for any office or other requirement before you start Trading. Only a chair and table is sufficient. Even if that also is not available, it is all right. You can trade by sitting anywhere, be it your bed or floor mat. So, it is like starting a business from home. So, you have saved millions which otherwise may have been urgent if you were thinking of starting any other business. You can read more on How to get started with Trading in Stock Markets. You don’t need any infrastructure to start Trading. All that is required is your Computer with Internet connection when you are trading on-line. If you prefer to trade offline, you can instruct your broker or relationship manager to place orders on your behalf by giving a simple phone call. You need not to have bags full of cash to start it. You can start with as much cash as you have. What is more is that you have the option of cash leverage also if you trade through Derivatives, called as Futures & Options . By Derivatives, you can with as low cash as 20% of total trade value. Options provide even more leverage. By leverage, your returns are multiplied significantly. But you should trade through derivatives only after understanding your risk profile. After you have started your trading, you don’t need to wait for weeks or months for the returns to pour in. In fact the returns are instantaneous if you are in Intraday Trading. Your trade may turn profitable the moment you started. Ok! I agree, losses are also instantaneous but you can take it as the day to day running costs of your business. That you might have been bearing in the form of electricity costs, your employee’s salaries etc each and every month if you have been in any other business. If you are already employed, you can start trading as a side business to increase your income. Just identify 4-5 trades per month and play the game. It gives great feeling when your little effort results in swelling of your bank balance while you also keep continuing with your primary job. You can start or shut your business any time. There are no liabilities. If you are going on a vacation, just close your trading positions and log out of your trading account. That’s all. Enjoy your holidays as long as you want. When you want to restart, just log in your account and create your trading positions. No body knows about your business, only your bank account knows. What Is Open Interest and How Does It Work?